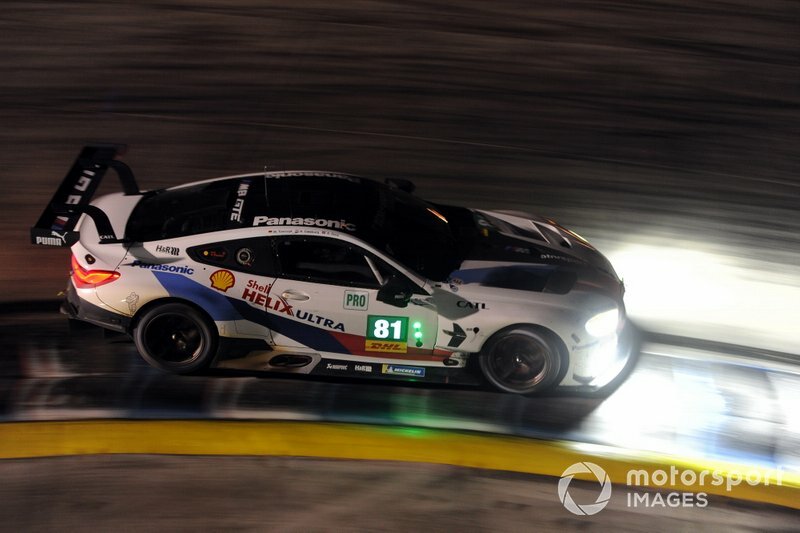 The MTEK-run BMW squad scored only its second GTE Pro class podium finish on Friday as the #81 crew of Catsburg, Martin Tomczyk and Alexander Sims finished second behind the Porsche of Gianmaria Bruni and Richard Lietz. However, Catsburg acknowledged that because the #81 was due to make a splash for fuel in the final 30 minutes the rain did not cost it victory, instead allowing it to finish higher than it would have had the race remained dry. The Dutch driver also cited the two-day pre-event test and the cool temperatures as factors in a stronger-than-usual performance for BMW. 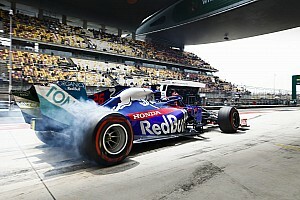 "The car was very strong, it was nice to have the double test day the week before," Catsburg told Motorsport.com. 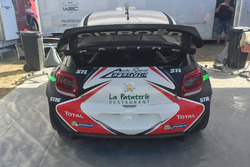 "We knew [the car] was going to come alive when the temperatures went down. "We are a little bit harsh on the tyres but when the temperatures drop that fades away and we can stay consistent throughout the stint. "The car is still relatively new and we’re learning a lot also from the American guys [the RLL squad that runs factory M8 GTEs in IMSA]. We’re just getting our package in a better window. "For this event it’s a combination of the car liking the track and the conditions suiting our car." 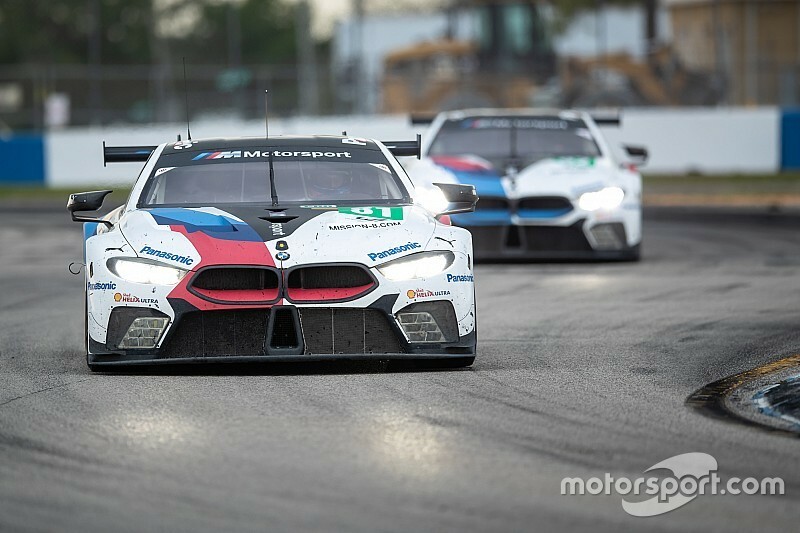 Asked if Sebring marked BMW's best WEC race yet, Catsburg replied: "100 percent, yeah. "Before we were kind of off the pace and struggling to get everything together, but this event was really good. I honestly think we’ve now found the way to go. 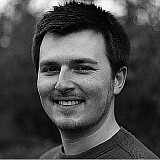 "I assume Spa and Le Mans will be better this time around [than at the start of the superseason]." 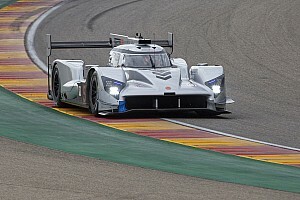 Bruni and Lietz's triumph marked their first of the 2018/19 campaign, as well as the first for Bruni since he defected from Ferrari at the start of 2017. 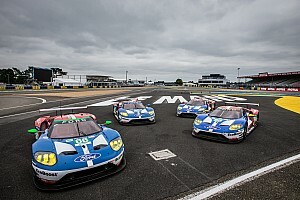 The pair have also established themselves in a firm second in the standings, 25 points behind teammates Kevin Estre and Michael Christensen, who finished fifth in Sebring. 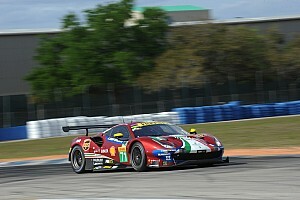 "We knew we had a good car, we worked very hard on the tyres to have a better life in testing," said Bruni. "We were consistent, not the fastest. "We did a good overtake on the BMW and the Ford, this was the key moment for us. After Richard pulled away from the #67 Ford, we knew BMW had to [pit for a] splash again. 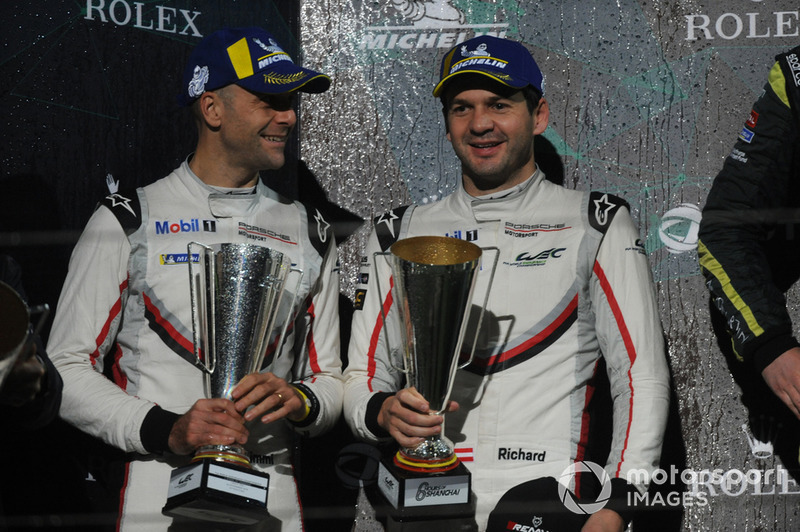 "My first win with Porsche, the first win for Porsche of the year. I hope we can continue this way for the rest of the season."